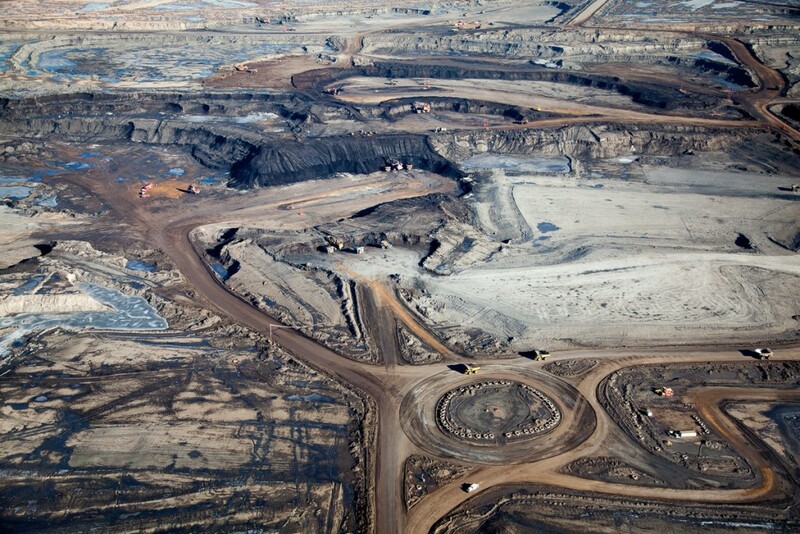 What tar sands opponents have in mind when they visualize the epic proportions of the Canadian Tar Sands are open pit mines, like this one at Mildred Lake. 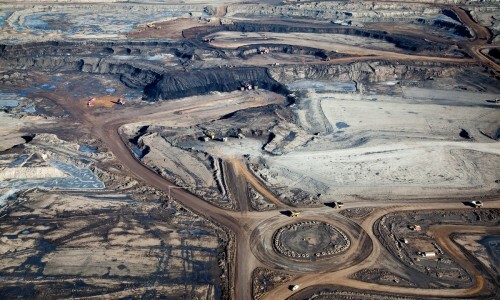 These mines are the among the largest open pit mines in the world. 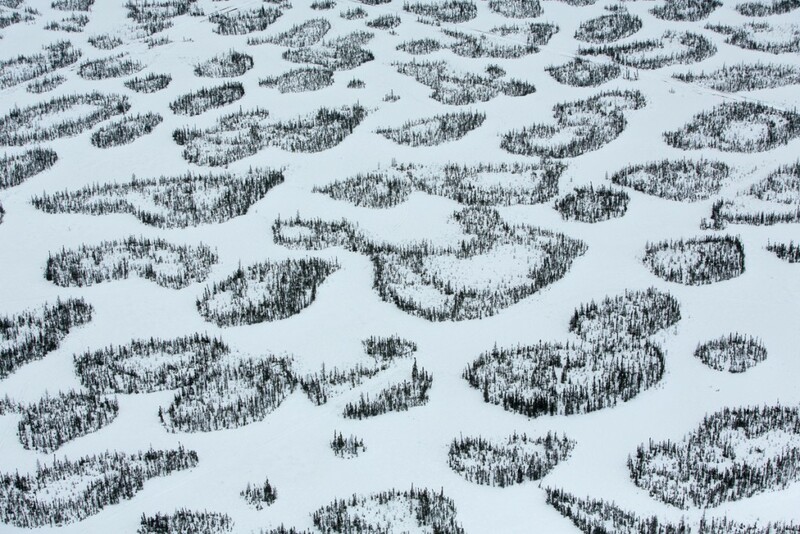 Their enormous footprint is evident in this aerial photo, the only way to really comprehend the enormity of these operations. 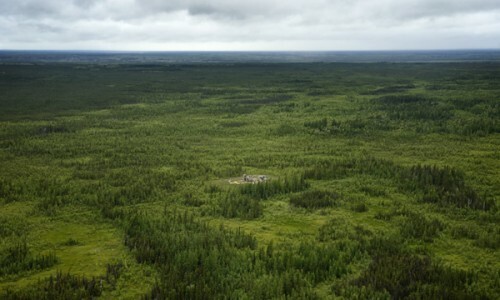 Before the mines were developed this is what Northern Alberta looked like from the air. 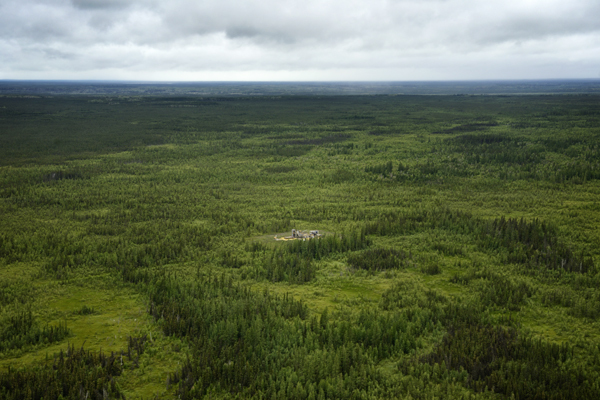 The second slide shows a view of remaining intact Boreal Forest in Northern Alberta, Canada. 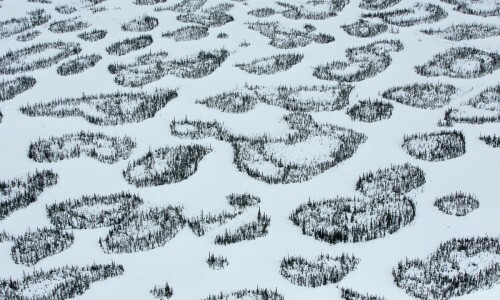 Between the groves of conifer trees lies muskeg, swampy expanses of peat, which are important carbon sinks. 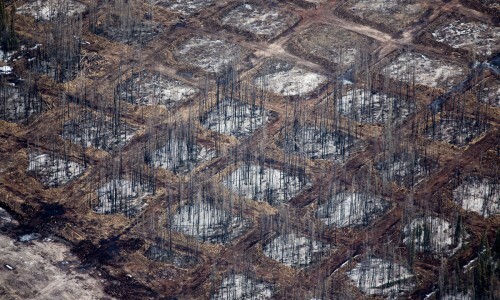 If left untouched they would continue to sequester carbon we cannot afford to release into the atmosphere. 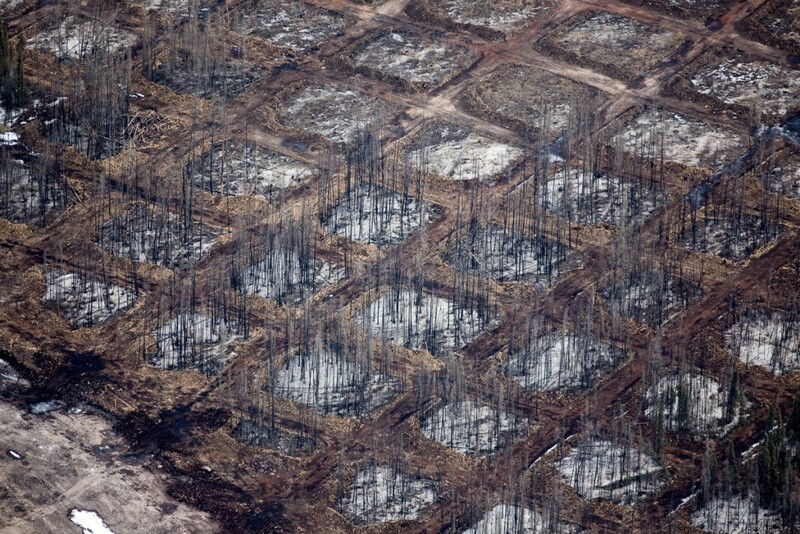 The first stage of extracting bitumen from the tar sands is clearcutting the boreal forest, shown in the third slide. 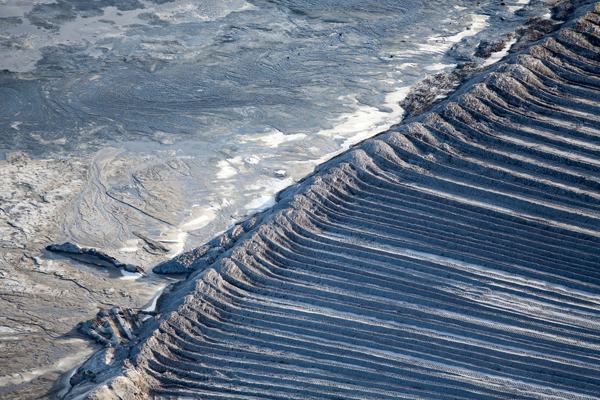 Immense quanities of toxic tailings are a by-product of extracting bitumen. 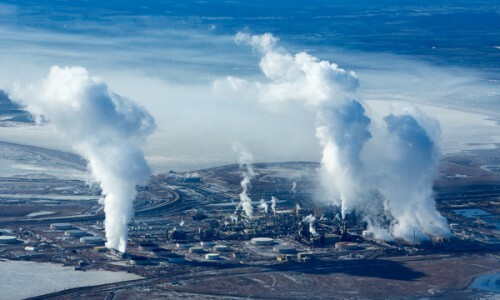 Currently they are stored in colossal bodies of water, called tailings ponds. The ponds are held in place by some of the largest dams in the world. The highly toxic water is a magnet for the vast populations of migrating water fowl who frequent Alberta’s boreal forests. Under certain conditions the birds mistake these poison lakes for restorative resting stops, get sucked into the murky water and die. 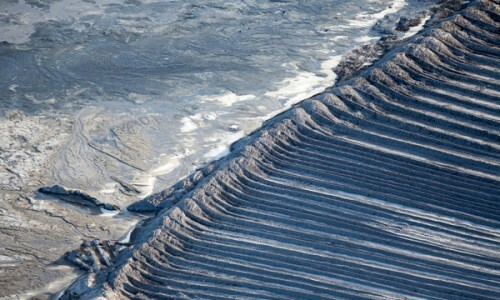 Only 20% of Alberta’s bitumen deposits lie close enough to the surface to be extracted using mining techniques. 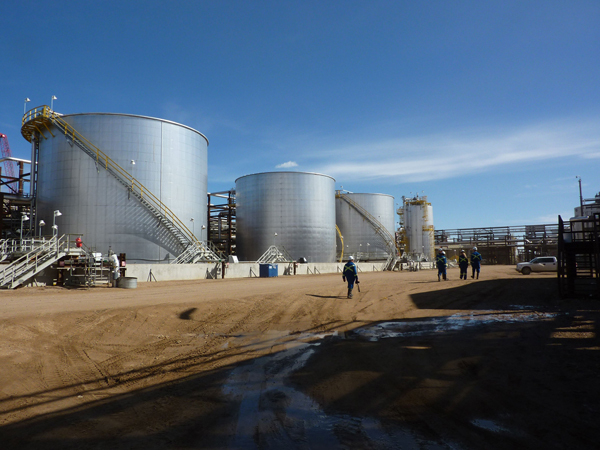 The rest can only be recovered by heating up the bitumen and surrounding layers of sand to extremely high temperatures so that the oil will flow to a well. In the 1980s a new drilling technique was invented that employs pairs of horizontal wells. 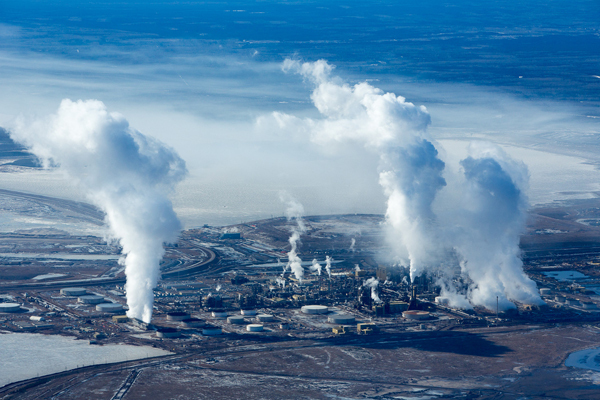 Steam is injected into the first well, heating up the surrounding bitumen and sand, which then begins to flow through the second well. 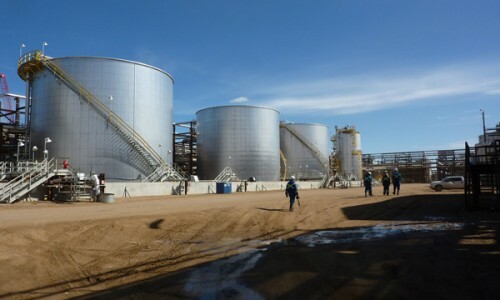 This method is called Steam Assisted Gravity Drainage or SAGD. 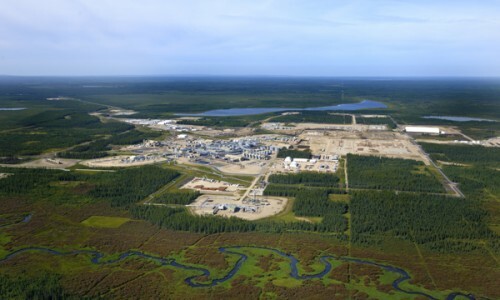 The oil industry claims that SAGD operations create a much smaller disturbance footprint than mines and therefore are more environmentally benign. Seen from the air that appears to be true at first. 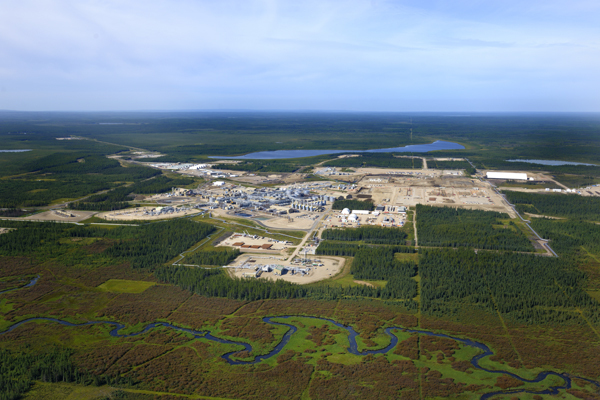 But as we zoom in on a SAGD operation, such as Cenovus Energy’s Christina Lake SAGD facility, the scope of its footprint becomes more apparent. Industry spokespeople boast that only 10% of the land is disturbed by these operations, ignoring what is going on underground. Just because we can’t see the wells, doesn’t make them benign. When the wells are no longer productive, they will be capped and the surface landscape – at least in theory – will be restored to its original state, but the underground infrastructure will remain in place. 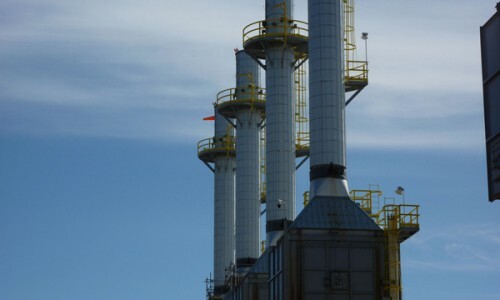 Blowdown boiler technology at Christina Lake, which Cenovus claims allows them to reuse a greater percentage of the water they use to generate steam at their oil sands operations. 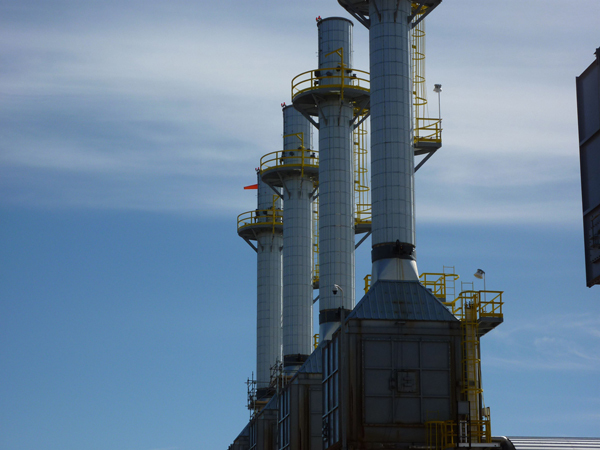 SAGD operations use enormous amounts of steam, which in turn requires vast amounts of natural gas to produce. 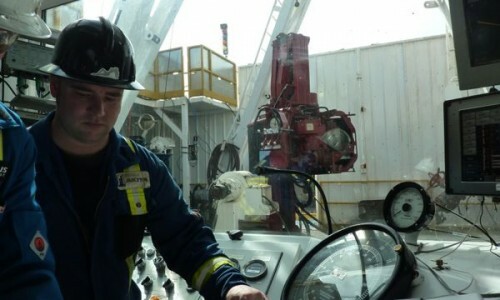 Two stories above the well pairs, an engineer guides the drill via computer, as the drill penetrates the layer of bitumen. 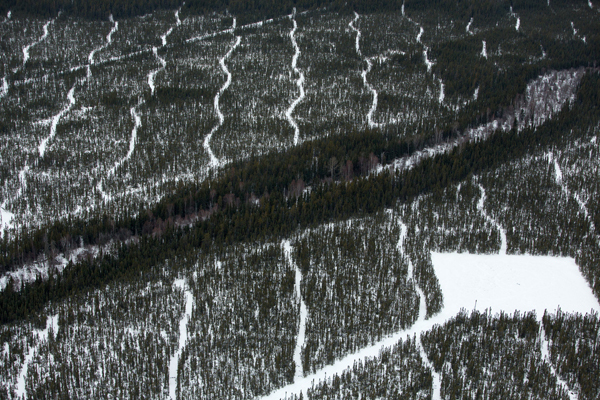 When the Canadian oil industry talks about the relatively small fooprint of SAGD operations they are not factoring in the not so subtle disturbances caused by road building, truck traffic and the omnipresent seismic lines that criss-cross the landscape. 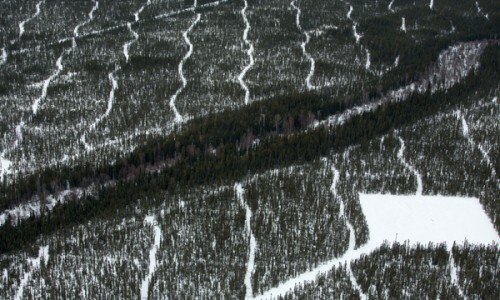 Seismic lines, resembling logging roads, cut through the boreal forest. 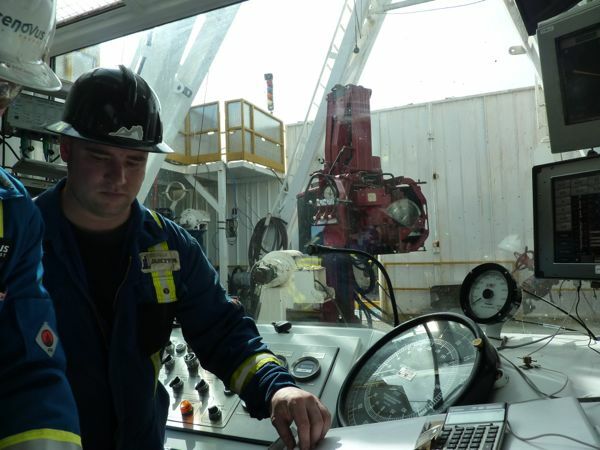 They are used to move large pieces of equipment needed to set off explosive charges that detect where the bitumen lies.